Linear motors are best known for their role in maglev transportation, (high speed subways and trains). Tubular motors are an offshoot of this technology; an engineering feat so new and exciting that it hasn’t yet reached its prime. RoseSun Motors not only understands tubular motors, we build them. Our goal is to consistently supply dependable tubular motors that address our client’s long-term and specialty needs. With the advent of tubular motors homeowners finally have the means to better control their indoor environment. Tubular motors made Motorized window treatments possible; and motorized blinds, shades, and screens can tame the most challenging window arrays. Skylights, solarium windows, and cathedral windows have for far too long, been literally unreachable. As a point of clarification, let’s define terminology. 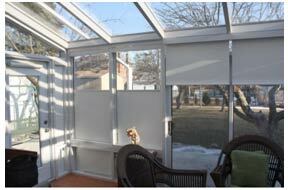 Here at RoseSun we use the terms shades and blinds interchangeably. Before motorization, blinds that mounted at the top of a window and drew down from a cylinder were called roller blinds. Other window coverings that mounted in this fashion were nearly always raised and lowered by chains or strings and were commonly referred to as window shades. Since the advent of motor driven blinds and shades, however, even venetian blinds and shutters are controlled from within the confines of an electric cylinder. Motorized blinds and shades have the unique capacity to open from bottom-to-top; a feat that was impractical before now, what with gravitational forces, and all. Motor-driven window dressings can also operate from side-to-side. In fact, motorized drapes are considered a side-to-side variation of motorized window coverings. While it is true that only the drapery hardware moves, the tubular motors that drive the hardware still operate within a cylinder to accomplish this task. Bottom-to-top blinds are increasing in popularity. It is easier to gaze out a partially opened window when you don’t have to stoop or sit to do so. Bottom-to-top motorized blinds also have the advantage of protecting against glare from low-horizon sunrises or sunsets. 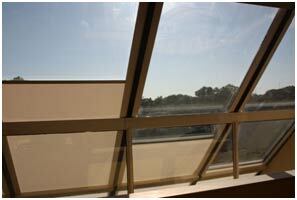 Side-to-side shades are extremely practical when used as motorized skylight solutions. They are often attached to entire banks of skylights, rather than single panels. 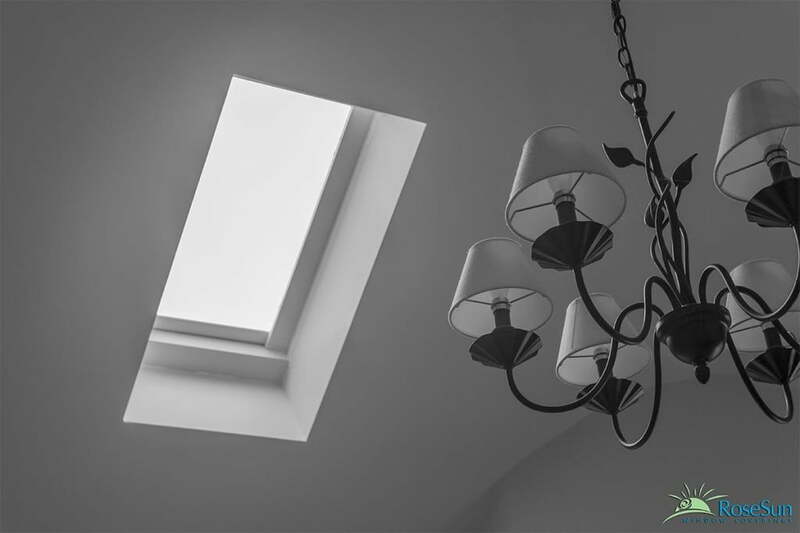 They are often used to close skylights closest to the rising sun in the morning, and on the opposing side during the evening. 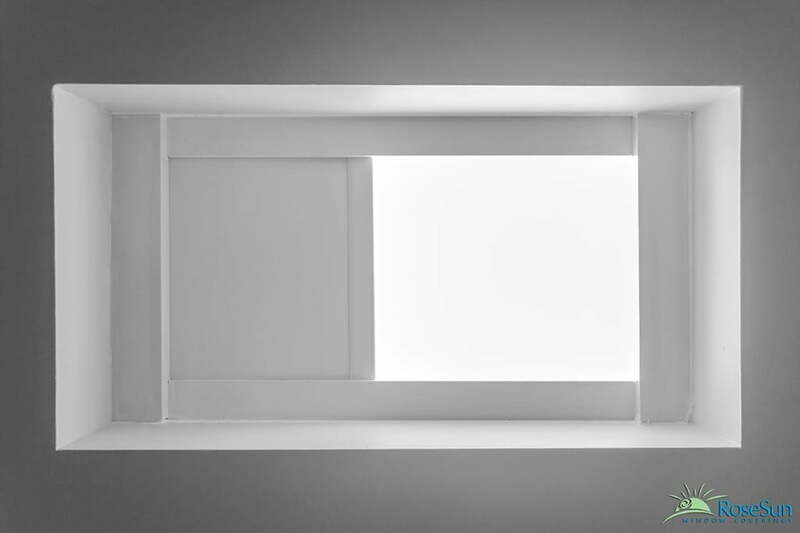 Ceiling skylights illuminate the dark interiors of our homes, but can also attract unwanted sunlight. 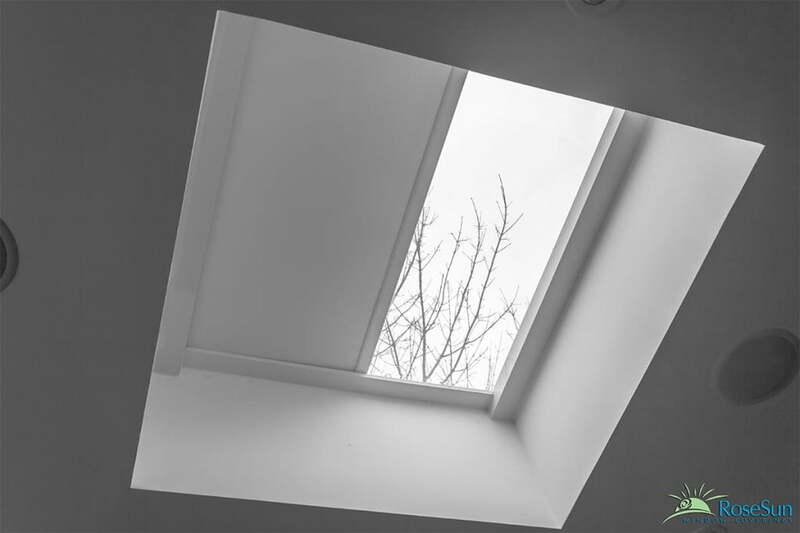 Outfitting skylight with a motorized blind or shade couldn’t be easier, whether it’s the bubbled or flush type. Remote controls with timers keep the interior of your home cool, even when you’re away. 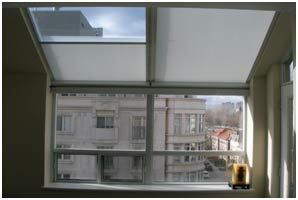 If you are fortunate enough to have a skylight that opens, you might want to attach both a motorized screen and shade. 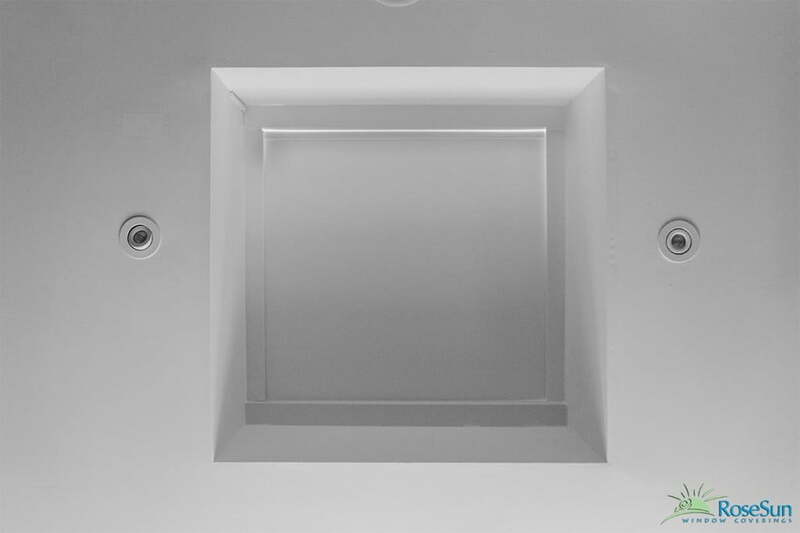 Skylights are the perfect solution for releasing trapped heat. Although most people choose solid colors for skylight windows, RoseSun offers the same variety of materials for skylights as we do for vertical windows: • UV Rated materials, (motorized solar blinds), are available in graduating protection from translucent to block-out • Plain-colored materials are popular because they come in a huge array of colors • Weaves, bamboos, textures, and prints give a finished look to exteriors. 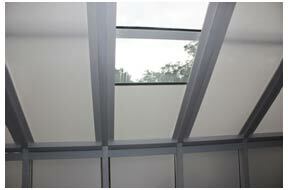 Motorized skylight coverings are designed so that the outside of your windows can look as good as the inside. 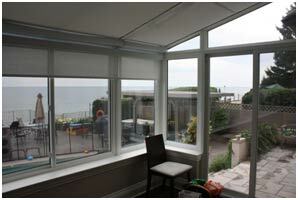 We offer skylight blinds and shades that are different on one side than the other. In the end, you want to be proud of your new motorized blinds. We are here to collaborate with you so you can achieve your desired results. Angled skylights, (also known as solarium windows), were incorporated into home architecture as early as the 1940s. Often times however, little thought went into placement. Eventually, soaring summertime temperatures caused sunrooms and atriums to fall out of favor. Fortunately, energy-conscious builders are beginning to understand their value. Motorized window coverings have played a huge part in the resurgence of this beneficial architectural strategy. 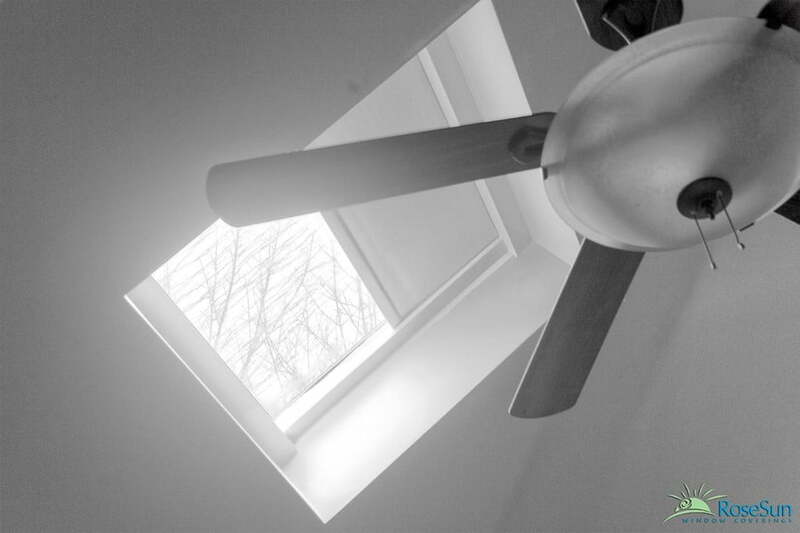 riginal Intent: The science behind the use of angled skylights is sound. Properly positioned, solarium windows perform their role beautifully. 1. Use glass to intensify the weak sunlight of winter. 2. Angle them for maximum solar exposure during the solstice season. 3. Disperse ambient heat during the day using air-flow techniques. 4. After warmth is absorbed by flooring & walls made of masonry or stone, it is slowly discharged throughout the evening. The act of blocking unwanted sunlight need not be simply utilitarian. Options abound. In fact, when it comes time to determine which type of window covering is right for you, you’ll have lots of decisions to make. 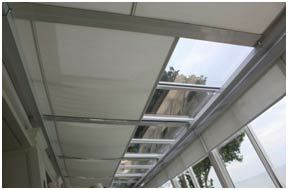 • Operationally, motorized skylight shades can function from top-to bottom, bottom-to top, or side-to side. • They can be installed to cover individual window panels, or complete banks of windows. • Aesthetically, motorized skylight protection is available in UV (Solar) Materials, Printed Fabrics, Weaves, Bamboos, or Plain-Colored panels. In older homes, sunrooms were envisioned as the perfect environment to grow lavish plants. Eventually, these wonderful porches served as leisurely gathering places. Sadly, we no longer experience the slow emergence of springtime the way our grandparents did. The weather is far more likely to surge to summertime conditions within a single day. Plants housed behind glass do not fare well when temperatures soar. Effective sun management increases the amount of time we can spend in enticing environments such as these. The decision about whether to cover single or multiple windows becomes a matter of personal taste. Many people opt to cover at least two skylights with each shade. Fortunately, remote-control devices and/or push button wall panel controls can be programmed to raise or lower blinds automatically, simplifying operational concerns. Motorized skylight shades are uniquely suited to creating both plant-friendly and people-friendly environments.